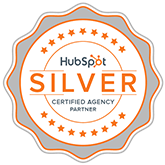 Consider our inbound marketing agency your own inbound marketing department. Our team of certified inbound marketing experts will attract qualified visitors to your website, convert those visitors into leads by gathering their contact info, and educate your sales team with the process of inbound selling to close the deal and delight your customers into your promoters. Your website is the hub of your inbound marketing strategy and lead generating efforts. It should be built around your marketing game plan and reflect your goals. It must be designed to appeal to your buyer personas and be optimized for lead generation and search engines. We leverage real analytics and user data to build your website that converts visitors into leads. Our custom developed Inbound Sales process will support your inbound marketing efforts and will enable your sales team to support high-quality inbound marketing leads through their buy's journey (Awareness, Consideration, and Decision) and easily convert them into loyal customers maximizing your return on investment potential. You’ve got “Aggressive, yet Achievable” goals to increase your revenue? Hit your goals with our proven sales & marketing strategies, tactics and technologies. 50% of qualified leads are not ready to buy immediately. Lead nurturing allows you to increase high-quality conversions and reduce your cost of customer acquisition. Keep your business visible in your audience’s inbox. We have the best email marketing tools and strategies to create & track effective email campaigns. A perfect mixture of creative graphic design and strategically chosen keywords creates a master piece of a display campaigns.professional and effective email campaigns. Let us find high-traffic keywords and optimize them on your blog posts, landing pages, and website and measure the impact with integrated tracking. With HubSpot's marketing automation, you can use each lead's behavior to tailor emails, content, offers, and outreach at scale. Save Time and Scale your Growth. Mobile is the most used digital medium by consumers today. 95% of adults use their smartphones to access information. In order for a business to be discovered by consumers takes good content marketing that includes keywords that carry buyers from stage one all the way to stage three in the purchasing stage.